A really neat French magazine (now in English too) that has all kinds of projects and craft ideas with a focus on homemade and non-toxic. 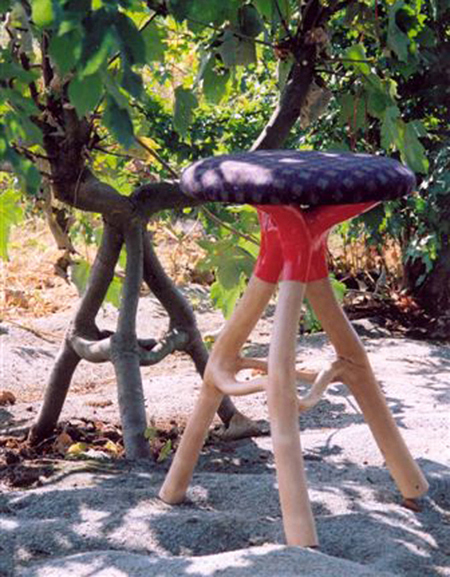 From how-to’s on making wallpaper paste and rice glue to upholstering furniture and making your own paint they cover a wide range of projects for anyone interested in doing it yourself. I was surprised to find that glazers putty was simply a mixture of chalk power and linseed oil. They give the proper mixture and explain how to use and the curing time. Quite a nice little (?) setup. Tis something I have always wanted to do but never gotten around to. Some really cool homemade tractors. Some made from motorcycles. Interesting stuff! An excellent short article on card weaving for beginners. Good stuff, well presented. Find it or list it. Looks to be a great service. Good stuff! 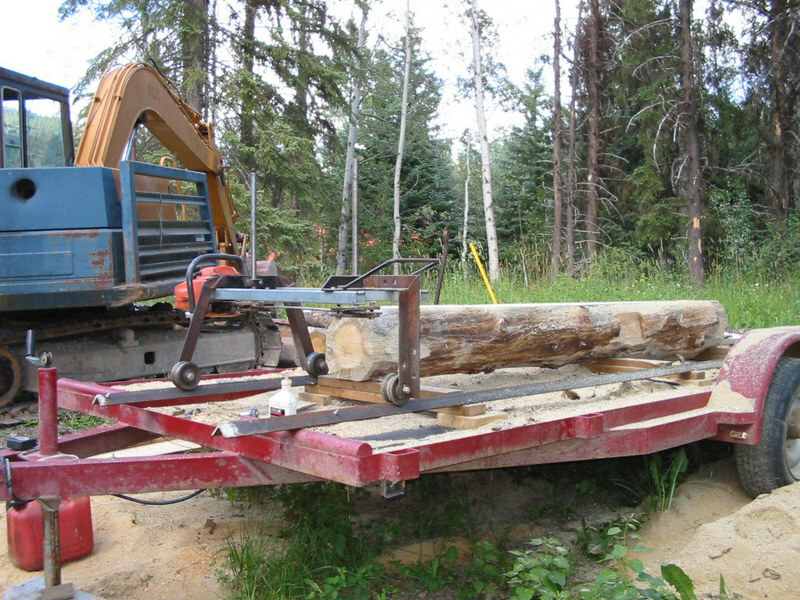 Located this site via a post at Treehugger.com. They have a lot of info on scythes, from how to use them to how to make your own handles. Guess I’ll pull that blade I had for sale at the yard sale tent, clean it up a bit and make a handle and some mounting hardware for it and start using it. Neat site! Lot of good info related to leather craft on this site. Good stuff! The pix below are from the 4th post down and are owned by the poster. Reproduced here for my use only. 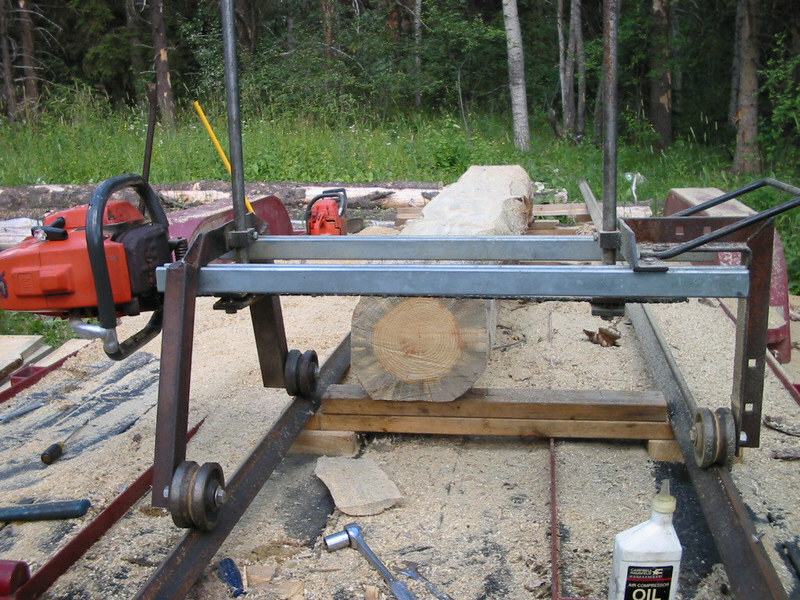 This is the simplest setup I have seen for a stable, easy to operate, sawmill. 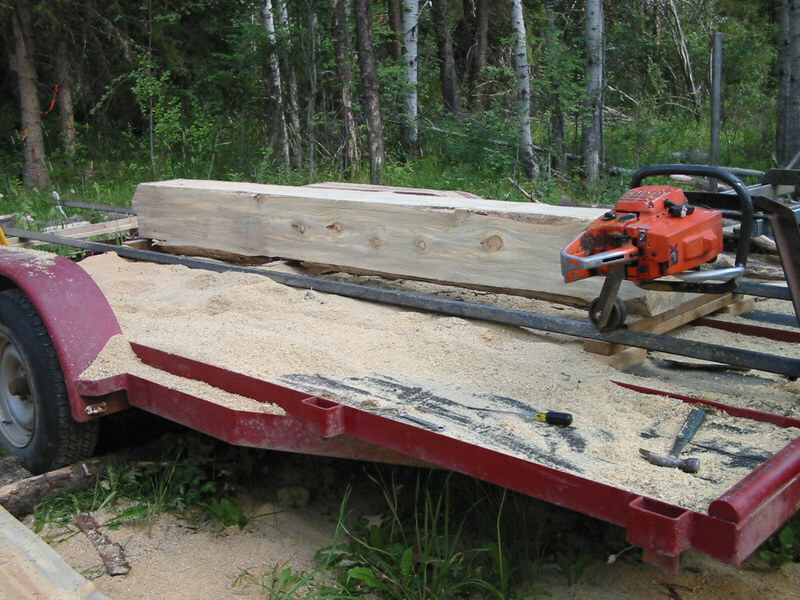 I have bits and pieces of a sawmill and a chainsaw with Alaskan mill (actually seems to be based on the Alaskan mill design rather than actually using one) that I may use to build something similar. Cool! Back to the land, a different look. Burn wood? Bookmark this site! Good stuff! 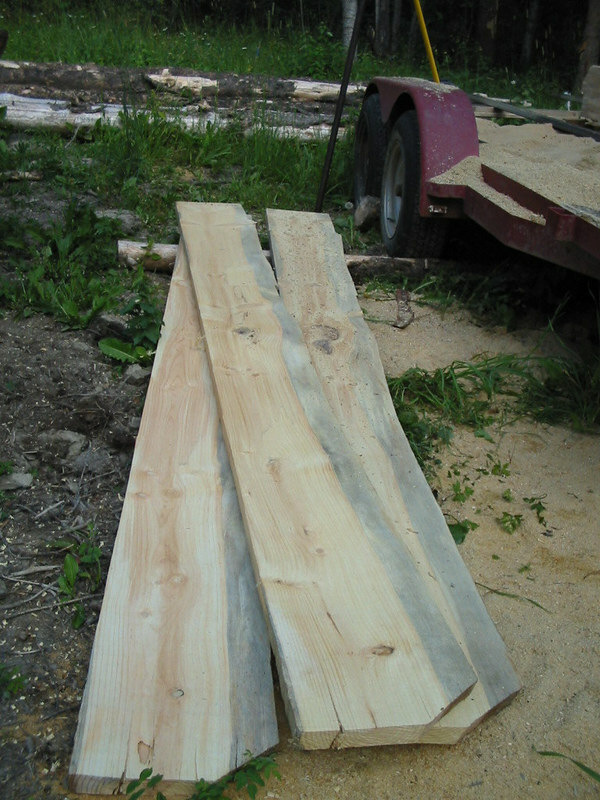 Been down somewhat with a bug the last few days and doing little as possible.Â Got out some this afternoon and cut some more cedar 8 foot upright posts and 6 foot headers and one 15 foot rafter and carried them over to the round house.Â Got a couple of the 8 foot upright posts and one 15 footÂ rafter cut and carried over to the site yesterday. After unloading them all, stood one of them up on the (facing the south facing entry way) right side of the door opening and screwed 3 saplings to it to hold it in place while I marked it for height prior to taking back down and cutting to length.Â Planing to put 3 uprights in place with two connecting headers and then put one primary and 4 secondary rafters in.Â Will add some bracing to the rafters as well as corner bracing on the uprights and headers.Â I figure that should secure it enough to add more uprights, headers, and rafters, without needing too much additional temp bracing. And that was about it for the day.Â Going to Calcis tomorrow so will be back late. More of the grow your own.Â Cool stuff! Takes a bit of time but this is some really cool stuff! 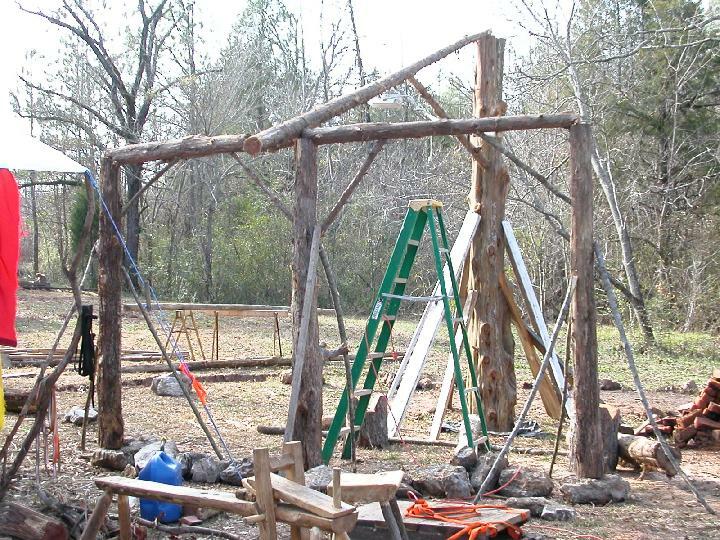 Build a hut out of whatever materials are at hand.Â Good stuff!Â Lots more on this site.